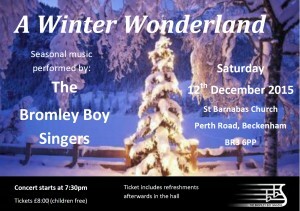 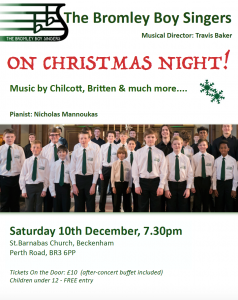 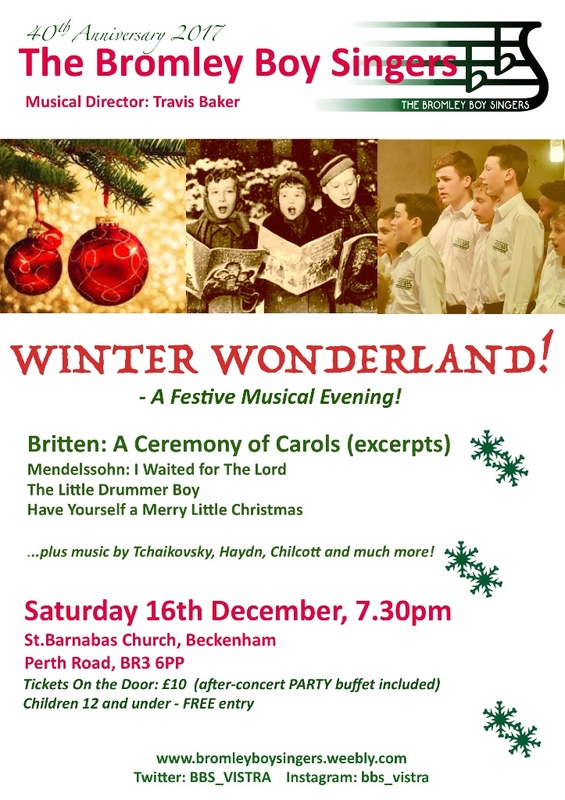 On Saturday 16 December at 7.30pm St Barnabas welcomes the Bromley Boy Singers for Winter Wonderland! 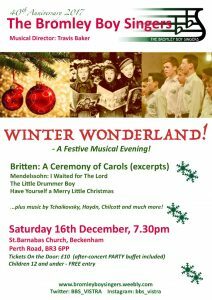 Tickets are £10 on the door, including after-concert party buffet. 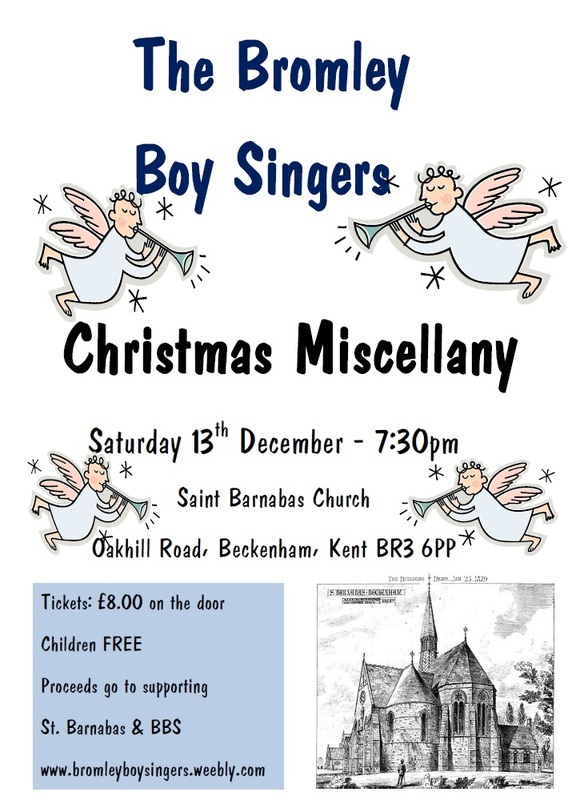 Children under 12 – free entry. 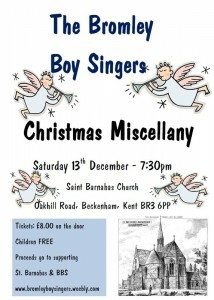 On Saturday 13 December at 7.30pm, St Barnabas is hosting the Bromley Boy Singers for a Christmas Miscellany.